Lazy Meadows Alpacas & Fiber Mill is a farm located in Hughesville, Pennsylvania owned by Mike & Elizabeth Longstreth. Check out our super fine blending material located in our products section. Production costs at our mill are based on finished weights! minimum order weight---2-1/2 lbs. (after washing). NEW ON OUR MILL FORM--- If you are in need of blending material, you may still choose white or have it pre-dyed by picking a color from our color chart. 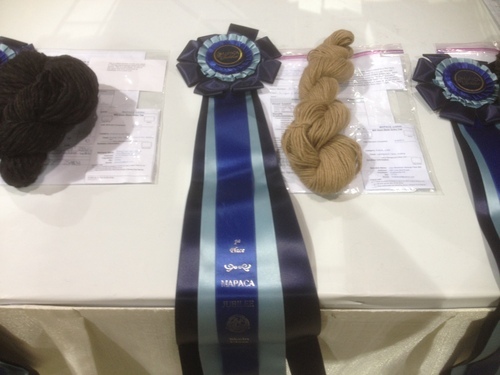 We have purchased a rug yarn (core spun) maker and we now offer rug yarn @ $18/lb (based on return weight). No Thirds. 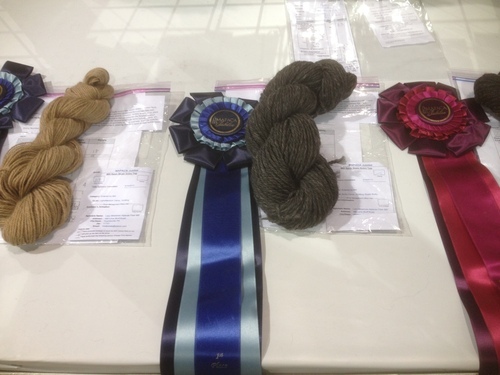 Looking to purchase yarn wholesale for your store? Contact us about a wholesale account. Lazy Meadows Alpacas & Fiber Mill is located on a 55-acre farm and is home to 8 fiber alpacas. Our mill's focus is to create a premium natural or acid dyed product (yarn, roving, batting, felt, or rug yarn) from your fiber at the lowest price. Through research and testing we have eliminated the use of LenoSpin (misted glue to hold exotic fibers together) and the soap we use to cleanse your fiber is an environmentally friendly orange peel base. Via our geothermal units and wind turbine, our outside electricity usage is minimal. What does all this mean for our customers? It means we can create your beautiful yarns, keeping the product all natural and leave the smallest carbon foot print possible. All mill prices except for dyeing are based on finished weights. 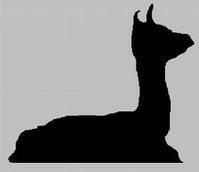 Store - Our store brings affordable alpaca products along with local artists crafts to the community. We also offer our M/P homemade soaps for both wholesale and retail - let us stock your farm store! You can visit our store to find the yarn, roving, or raw felt for your next project or pick up that one of a kind hand made item for the perfect gift. Every Monday night is knit night at Lazy Meadows from 6:30 to 8:00 pm, visit with our knitters, learn new stitches or get ideas for that next project. No charge! 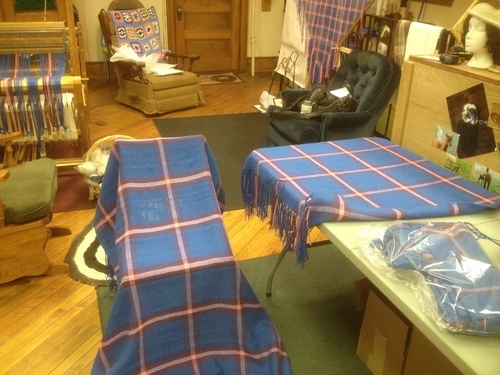 The Weaving Center produces premium HANDMADE blankets, scarves, table runners, and shawls for our customers (both retail and mill) at affordable prices using your finished yarns. Knitted scarves, gloves, socks, or hats are also available. An estimated 50% deposit is required on all weaving center orders. Lessons available for spinning, weaving, knitting, and crocheting. Please call the store for an appointment.